Packaging! Bright and bold colors look quite sleek - Very nice! No complaints here. 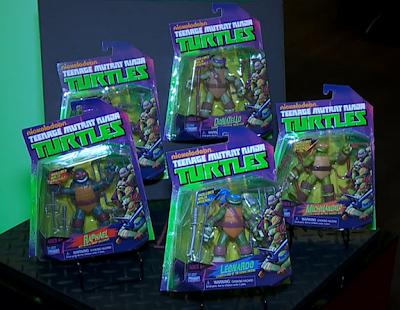 Yesterday we were shown this AMAZING picture of figures that were quite universally coveted by TMNT fans and toy collectors everywhere. These are not exactly the same as the figures shown last year at the Fan Preview Events, but they're equally fantastic. 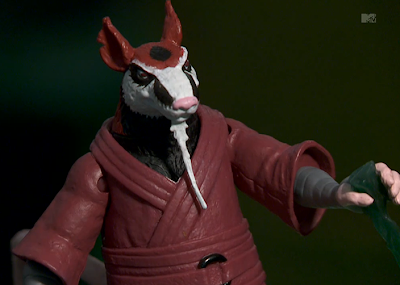 Moving on, let's take a look at another oddity: Splinter. Last Spring at the Fan Preview Event held at Nickelodeon Studios, the Splinter we saw barely resembled an action figure, so I can't use that as a comparison to this, but I don't recall any of the images we saw of Splinter having a white face. I really hope this looks better in the CGI designs than it does here. 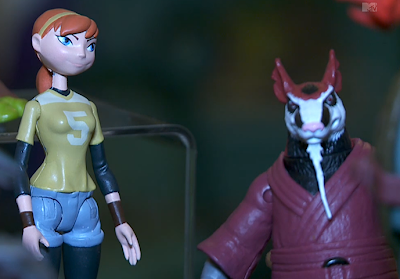 Here's another look at Splinter next to April. There isn't much to say about April, really, but this is our first good look at her character design for the new series. Obviously it's a radical change from any April we've previously seen. And here's a closer look at the bad guys, a Foot Soldier, a Kraang alien in an exoskeleton, and Shredder. In addition to the basic figures, there will also be new figures with "special features" released approximately every six months. The first wave will be "Power Sound FX." These figures look to be more closely designed to resemble the Turtles as we will be seeing them in the new CGI series. Hey, look. The Leo on the package has only two toes. 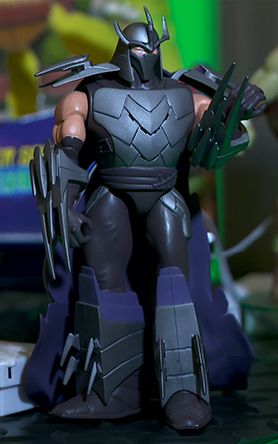 And there will also be a Shredder figure with the sound feature. 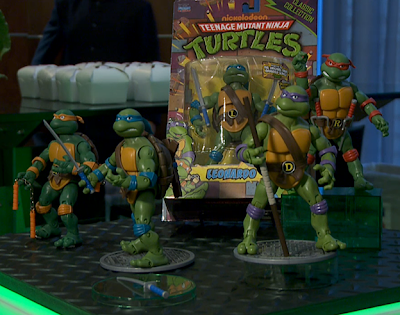 Playmates is expanding the TMNT line beyond the new Nickelodeon TV series to also include a "Classics" line that features highly-articulated figures based on the Turtles seen in the original cartoon series. If the line sells well, it will be expanded to include more characters and, possibly, more universes. 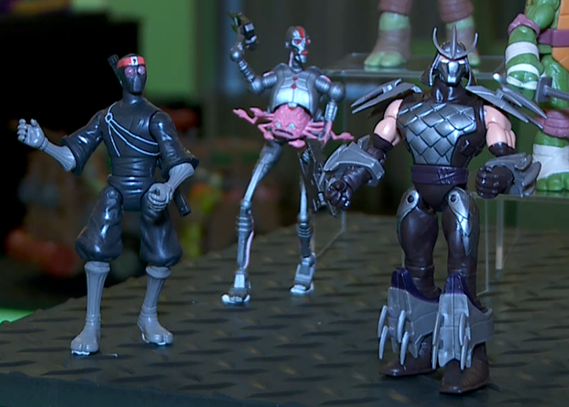 These figures will be in the 6" height range. There is more to look at and share, but I'm going to break this into multiple posts to keep this from getting too long. 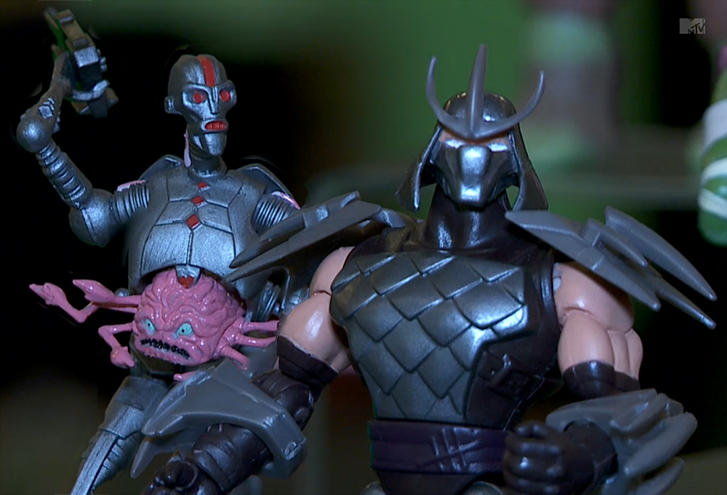 Stay tuned for more, and considering Toy Fair hasn't even started yet, there should be more pics and news to drool over during the next couple of weeks! Well, it would be cool if the basic figures keep the paintjob, but I seriously doubt it... At least the sculpt rocks! Production toys NEVER look as good as the promo shots. It's just a fact of advertising that the first look you get is usually a LITTLE better than what you actually get, after all it's what has to catch your eye so you buy the toy to begin with. 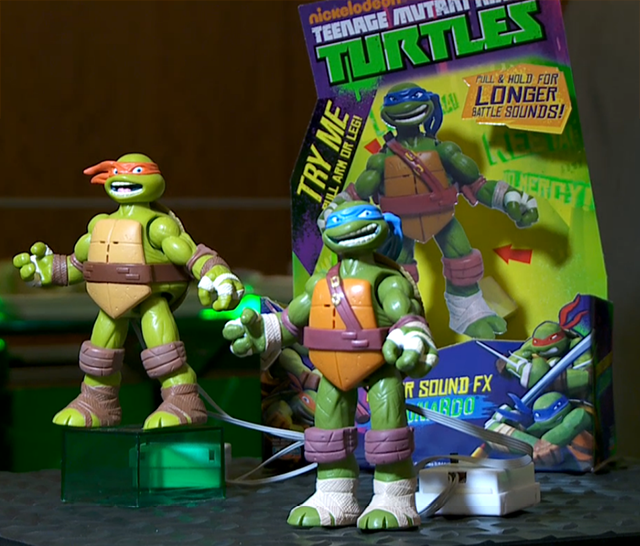 When I saw the awesome photos yesterday I was worried that the first things that would be cut for production would be the paint and Mikey's chains. Oh, well. 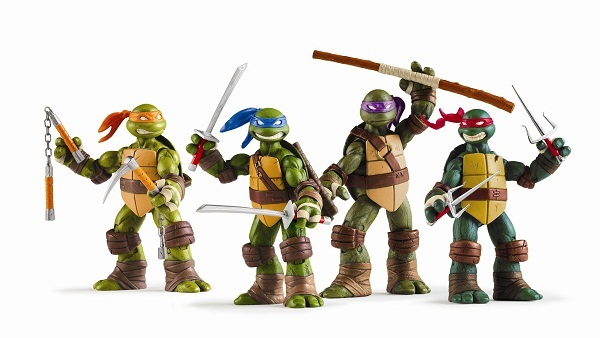 So maybe these won't be the coolest looking turtle figures I own, but I'll still be getting the whole set when they hit stores. Anyway, that's what I took away from it, I'll be crossing my fingers! Okay, after watching the video footage, I'm retracting my previous statement! It sounds like the ones I was thinking were the CGI cartoon figures are in fact the talking figures. So....darn. I want those prototype versions they posted so bad! That being said, I'll pretty much take what I can get! 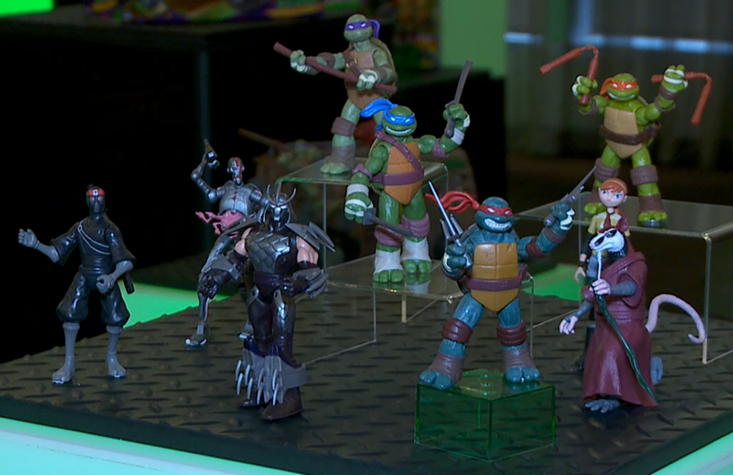 Ooooh, those old-toon-based figures will be a definate must have for me!